Attention! We’re running an event next month! It’s called Changing the Ratio! You can only get early bird tickets for two more days! But in case you didn’t know much about the event yet, we’ve written this handy explainer. Basically, this is an event to promote diversity and inclusion within the Aussie advertising, marketing and media landscape. How, you ask? By providing attendees with game-changing ideas, practical tools and case studies – plus things they can do right now in their organisations to drive equality. This home-grown, Aussie event is the brainchild of B&T and an amazing team of advisory committee members, including top-notch executives from companies like Facebook, Adobe, CHE Proximity, M&C Saatchi and Southern Cross Austereo. These high-powered individuals have put some serious thought into this event – so you know it’s going to be good. We’ve secured some killer speakers who will inspire and captivate attendees, all of which are unmissable. They’ll touch on issues like disability in advertising, promotion of women, inclusion in our industry and the importance of giving equal opportunities to all. The former is an issue Changing The Ratio speaker Cátia Malaquias is particularly passionate about, having founded her company Starting with Julius to ensure people with disabilities are represented within advertising. Read more about her inspiring story here. Another Changing The Ratio speaker set to inspire is Deng Thiak Adut, a Sudanese child soldier turned Western Sydney lawyer and refugee advocate whose harrowing tale of his personal journey as a refugee has evoked strong emotions among Aussies. He’ll open the event – but take a closer look at him here if you just can’t wait. Once you’ve finished crying after Adut’s inspiring keynote, the hilarious George McEnroe is locked in for the day to be the Changing The Ratio MC! George McEncroe is a businesswomen, comedian, writer, single mother, broadcaster and the founder of the first ever all-female rideshare service, Shebah. Check her out here before promptly buying an early-bird ticket – she did win best newcomer at the Melbourne Comedy Festival, after all. And, last but definitely not least, our closing keynote speaker for Changing The Ratio is none other than Lisa Wilkinson! She made headlines last year after leaving channel nine‘s The Today Show because of unequal pay, and is a media powerhouse, and champion for women all over Australia. And we’re very, very excited to have her headlining Changing The Ratio. It’s a wonder the early-bird tickets haven’t sold out already! You can check out all our other inspiring speakers here (if these massive names somehow haven’t sold you already). And for a rundown of the day, click here. There’ll be sessions on diversity, equality and inclusion, as well as talks and panel discussions on how to attract diverse talent and bridging the gender gap. How could you miss that?! Once again, early-bird ticket sales will close at midnight tomorrow, April 27! That’s two days time, people (including today). Grab them here while they last. Changing the Ratio will be held on May 28 at Sydney’s Belvoir St Theatre in Surry Hills – but for all other info, head to the website. 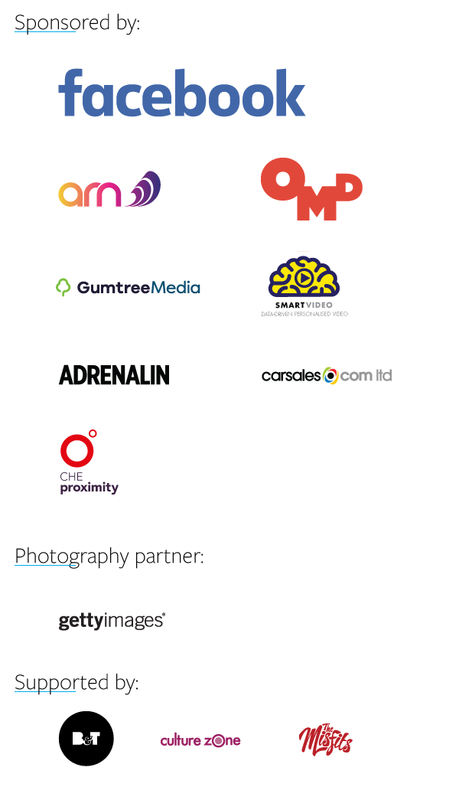 And another massive thanks to our sponsors!